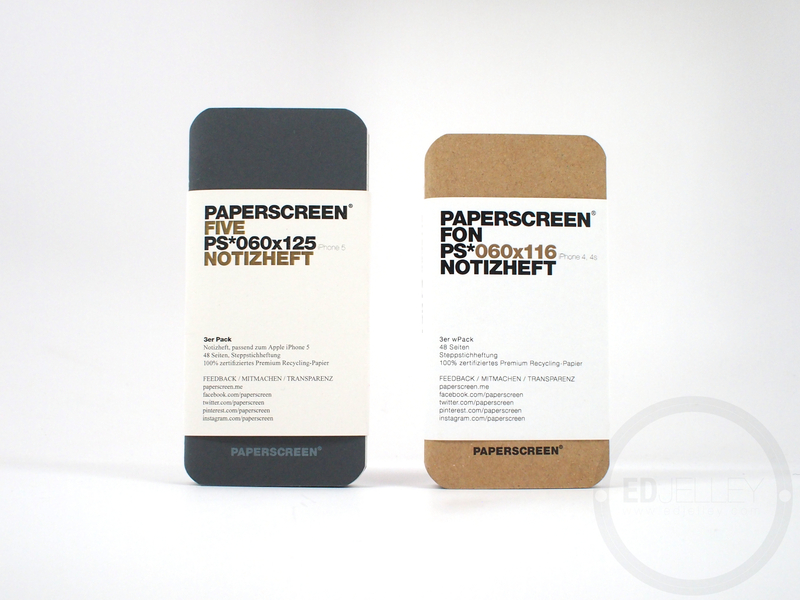 Paperscreen is a brand new company out of Germany that is hand making notebooks in an original format. Instead of using regular paper sizes, they have decided to use the screen sizes of popular electronic devices. At first this seemed a bit gimmicky, but in practice, it actually works quite well for carrying/packing in a bag. 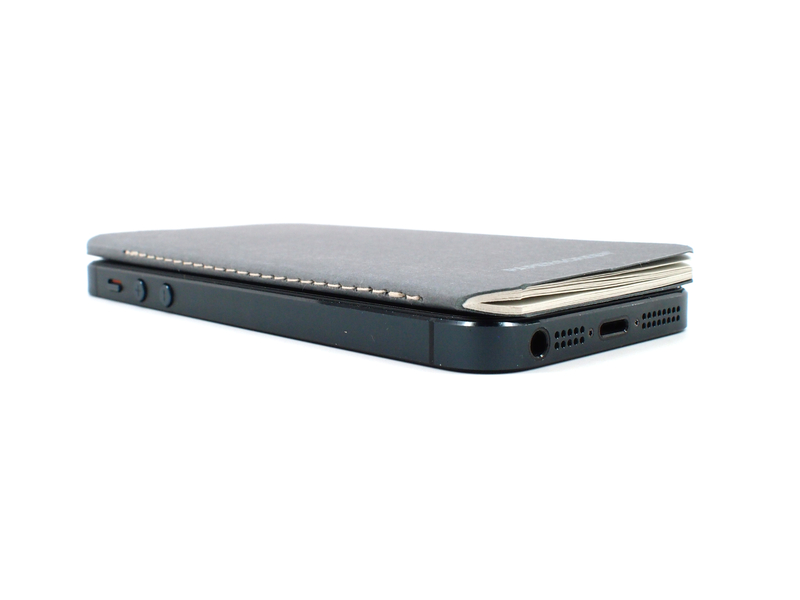 I use an iPhone 5, and the notebooks definitely “piggyback” well with the phone. 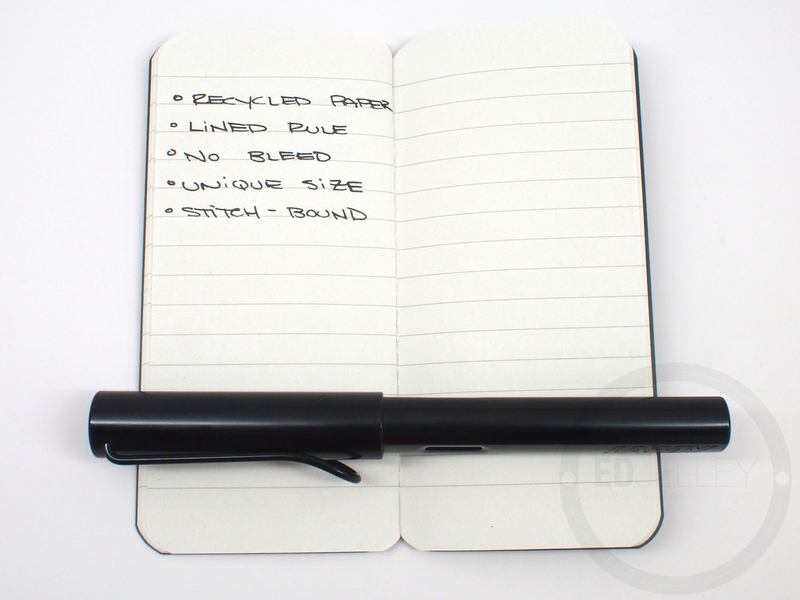 The smaller, slimmer size is also more pocket-friendly than the typical 3.5″x5.5″ pocket notebook. Rounded out with fountain pen-friendly paper and a bunch of different formats, the Paperscreen notebooks are a refreshing entry into the ever-growing world of pocket notebooks. Make sure to check out the Gallery at the bottom of the post, I wen’t a bit photo-crazy and there are a lot more there that aren’t in the review! 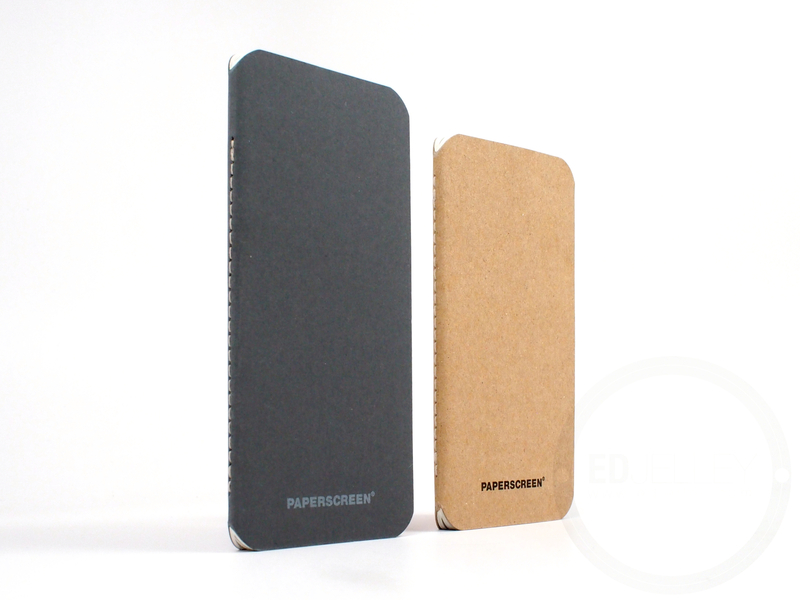 Thank you to Paperscreen for sending the notebooks for review! They’re available for sale through their website, which is mostly in German. Hopefully we’ll see these notebooks available stateside sooner rather than later! 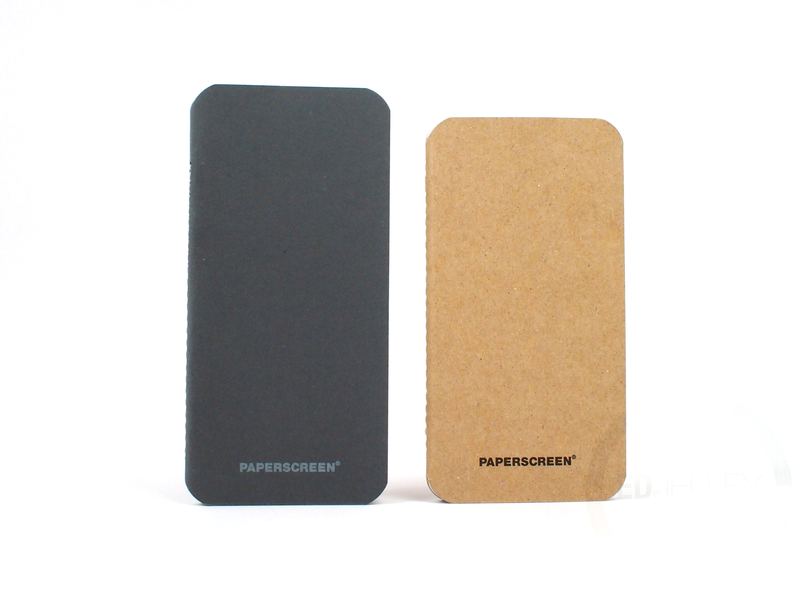 The Paperscreen notebooks I received had grey covers and tan kraft paper covers.  They have minimal branding, which is welcomed. There’s a small logo on the bottom front of the books, and a scannable QR code on the back. The inside cover has a few lines for identification. They’re minimalistic, and I like them. The books are stitch-bound by hand, and it’s been holding up in my pocket for a few weeks with zero problems. I think I might prefer the stitch binding to the traditional 3-staple binding because it’s less likely to fail. I’ve had the covers come off of several staple bound pocket notebooks, and I hate to see that happen. The Paperscreen notebooks are well-constructed and I have no doubt that they’ll hold up in a pocket for the life of the notebook. I was quite surprised at how well the Paperscreen recycled paper handles fountain pen ink. There’s no bleed to be found, even with heavier flowing pens. I didn’t expect much from the off-white, recycled paper, but I was pleasantly surprised. Dry time is decent as well since the paper has no coating. The paper has a small amount of texture which can give some extra feedback, depending on the fine-ness of the nib. I’m happy with how the paper performs and feels, especially for a pocket notebook. The paper in the Paperscreen notebooks is off-white, leaning more towards grey. This is typical with recycled paper, as the ones I’ve seen aren’t usually bright white. The ruling on both notebooks is lined, but I appreciate the attention to detail here. The Five’s lines are further apart than those of the Four. I really like when manufacturers take notebook size into consideration when determining how to space the ruling. A small notebook with wide ruling just doesn’t make much sense, and I’m glad Paperscreen chose to adjust the ruling with the size of the book. That being said, the lines themselves are light grey and relatively unobtrusive. I wish the paper was a tiny bit brighter as to better show off ink colors, but it performs well, so I can’t really complain. It’s great to see a new company try new things. In this case, I believe they have a good product. The sizing is definitely different, but it makes sense. If you are already carrying a phone in your pocket, then having a notebook of the same size minimizes the “footprint” and bulk in your pocket. 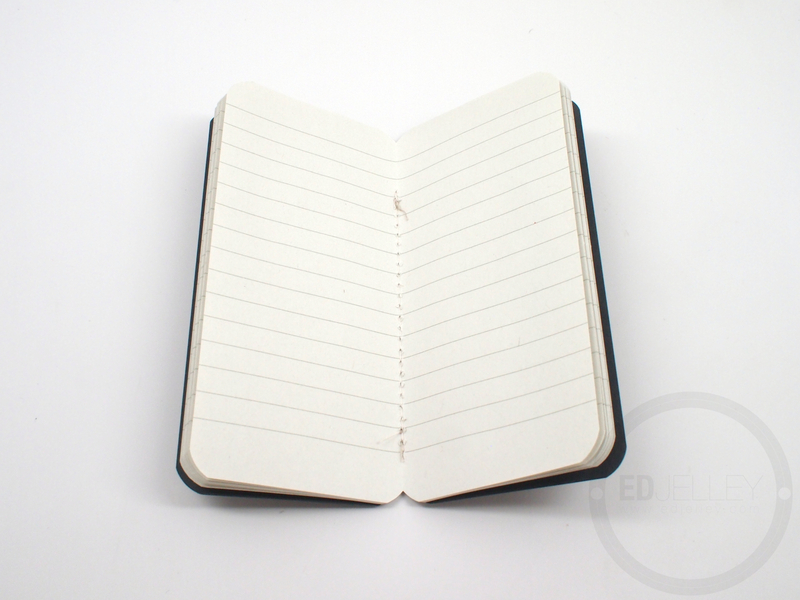 I find the notebooks to be perfect for lists, as they are a bit more narrow than the standard 3.5″ x 5.5″ notebooks. I keep a small daily journal, and I much prefer the 3.5″ x 5.5″ because of the extra room, but the Paperscreen notebooks are ideal for writing things down quickly. 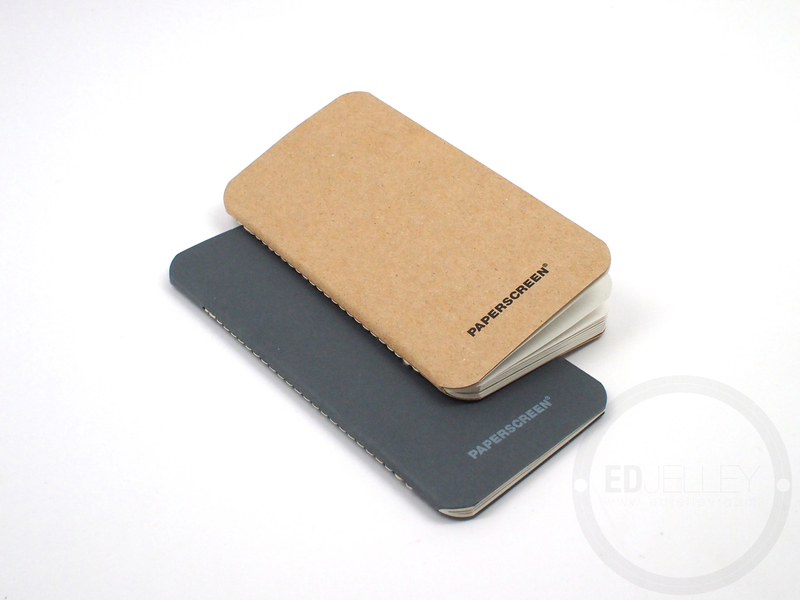 Thanks again to Paperscreen for sending the notebooks over for review. I’ll have another review coming soon for the iPad sized version as well. Thanks for reading! Disclaimer: This item was provided to me as a review unit, free of charge, by Paperscreen Notebooks. I was not compensated for this review, and this did not have any effect on my thoughts and opinions about the pen. Thank you for reading! Just wondering how far apart the rulings are on the lined? You mentioned they vary with size of the book but it’s hard to tell scale from the pen (as I don’t know how large your handwriting is necessarily). Thank you! These look far more useful/practical than the Dodo phone book silliness that has the cutout on the cover that doesn’t accommodate a case and is rather absurd without a phone attached, whereas this is not phone dependent. Love that it’s recycled paper too! The ruling is 5mm and 7mm. 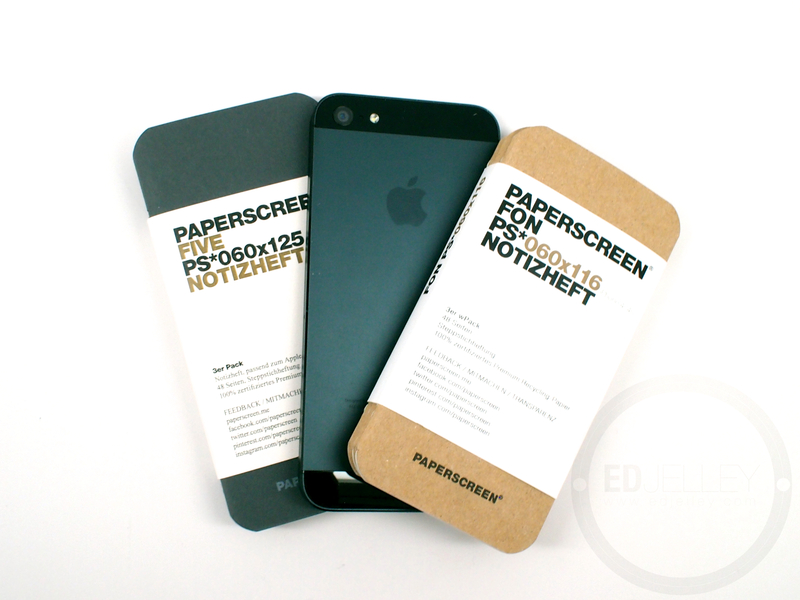 So if you want to buy FIVE or FON on http://www.paperscreen.me just drop a note and we check the ruling. What is the actual size? No one puts that in anywhere. 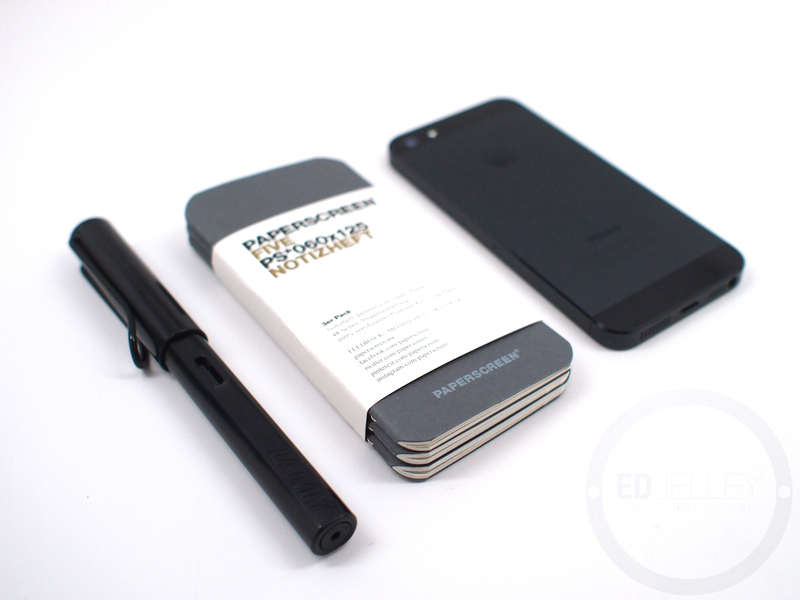 Dear Notebook, Notepad and Sketchbook-Lovers, http://www.paperscreen.me now available in english!